How awesome would it be to make your very own city lights skyline? This very clever idea is from Sweet Paul. 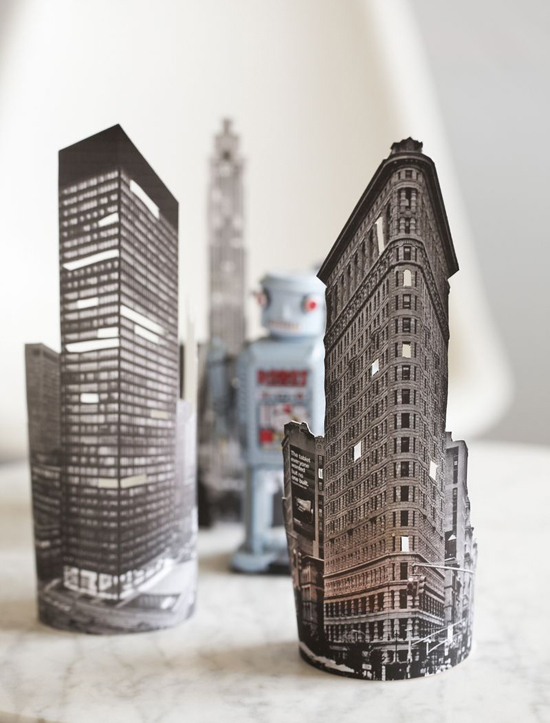 All you need is some city photos printed out onto card paper or try vellum. Just wrap them around your votive candle holders and cut some windows out to let the light shine through. Cute!